Slit Jockey Records are back with a fresh new release from Ultraviolet, a Philadelphia-based producer and DJ, known for his WKDU radio show amongst other DJ and performance endeavors. And for the release, label boss Starkey has decided to go in on remix duties. 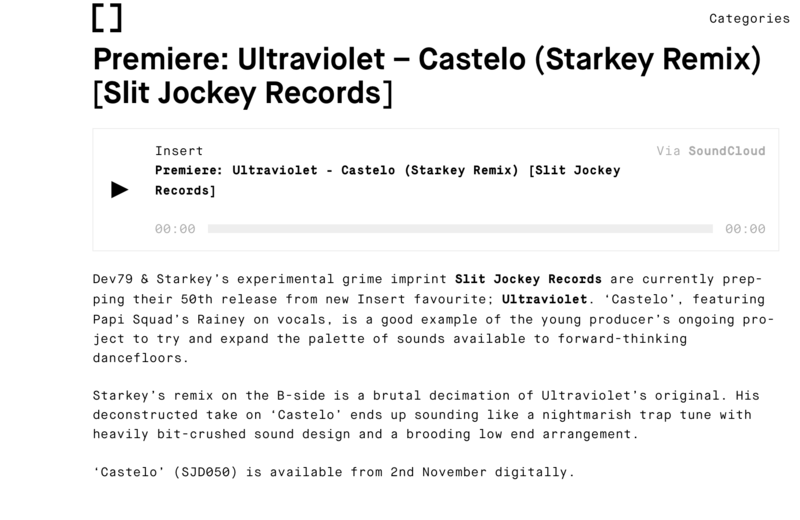 Insert, who premiered the track today, probably said it best, "Starkey's remix on the B-side is a brutal decimation of Ultraviolet's original"
The release is out on all digital platforms November 2nd. Preview it below via Insert's Soundcloud.